It’s British Isles Friday which usually sees me taking a weekly walk around London, sharing the sights from my armchair here in Los Angeles. Last week we visited the Millennium Bridge, the pedestrian bridge that takes you from the Globe and the Tate Modern, over the Thames towards St. Paul’s Cathedral. As I shared in last week’s post, the bridge has already taken a role in several television shows and movies. This week, preparing a post for my other site Chapter1-Take1 where I cover the world of book to movie adaptations, I discovered the bridge making another onscreen appearance. 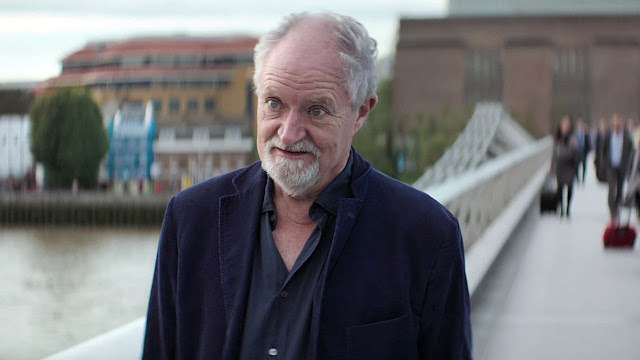 The Millennium Bridge can be seen in the new screen adaptation of Julian Barnes’ Man Booker Prize-winning novel, The Sense of An Ending starring a dazzling cast of British stars, old and young, Jim Broadbent, Charlotte Rampling, Emily Mortimer, Joe Alwyn, Billy Howle, Michelle Dockery and Freya Mavor. Let me know what you think of the trailer ... and don’t forget to watch for the bridge. I’m currently reading the short 118 page book on my Nook, despite its brevity, Barnes’ novel is full of ideas about time and memory and the re-writing of our personal histories. Fascinating stuff for those of us who have a few years under our belts. I wrote a bit about the novel over on Chapter1-Take1 if you’re interested. Hoping to get into the theater this weekend to see it but it’s my hubby’s bday and to be honest, the movie is much more my cup of tea than his. Oooo....I would love to read this and watch too. Thanks for highlighting it. Happy birthday to your husband! I don't know the movie, but instinct suggests it should be good. Thanks for the tip! I DO know the millennium bridge in London - great views - and I love waking along Bankside. You'd probably enjoy my recent bit about Sky Garden. 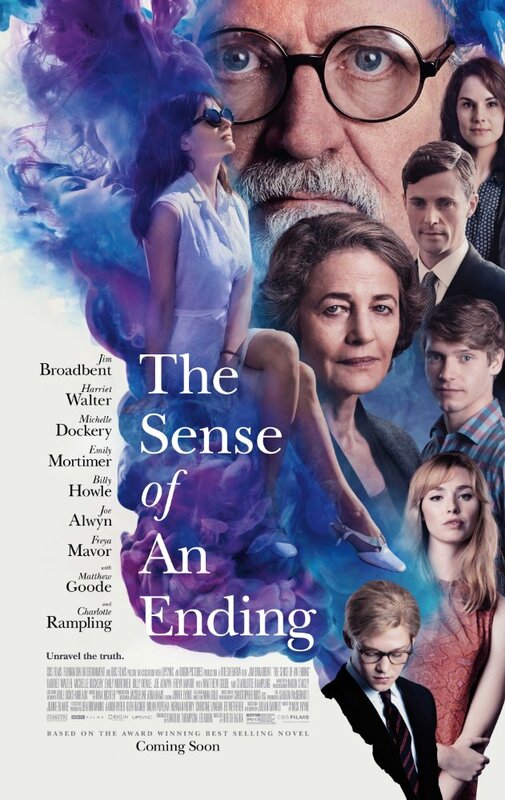 That looks like a terrific movie -- all those familiar faces!